It's time for Challenge #279 at Little Red Wagon. Joanne is our hostess this week and she is all excited about Birds of a Feather. In other words, she wants to see some birds or feathers...or both. 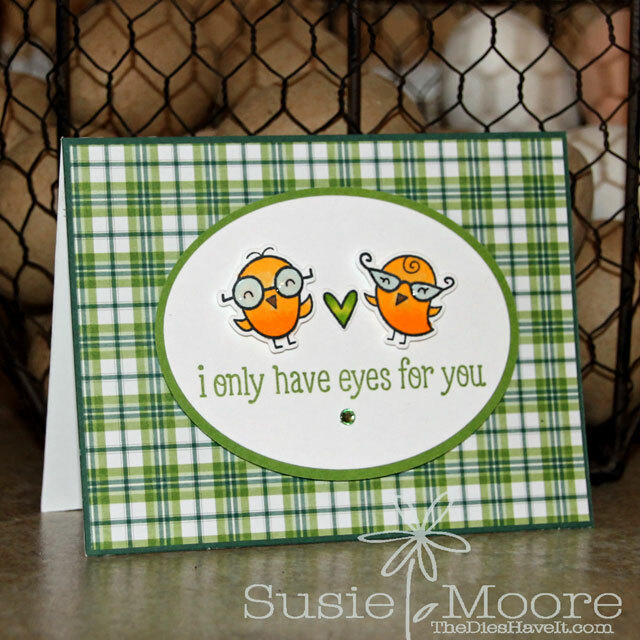 My little birds are from a Lawn Fawn stamp set called Science of Love. I guess my birds are nerd bird scientists!! I just love this challenge and I think you will too. So be sure to check out what all the girlfriends have created this week. The links are to the right (and then scroll down a little) of this post. So much fun! I love that green plaid paper! Awesome card. Love the glasses on the birds. So cute. Very sweet. These are the cutest birds with glasses I have every seen.